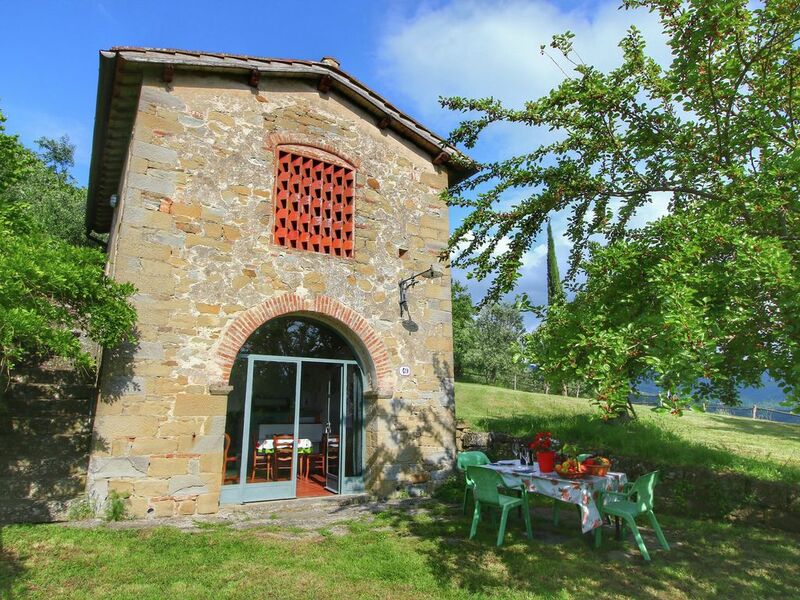 This cozy holiday home is located on an estate surrounded by olive oil trees, in a wonderful area where the Apennines meet the Tuscan hills. This old farm worker's home has been completely renovated, taking care to preserve the authentic atmosphere. The traditional open fire place in the large, cozy living room adds to the enjoyment in the colder days. You'll reach the first floor by a gorgeous cast iron open staircase in the sitting room. From the sitting room you'll enjoy the spectacular view over the Rufina valley. In the summer you can enjoy being outside or go for walk around the estate. The holiday home is located in the Pomino area, famous for its wine and olive oil. Pomino, a small authentic village is 2 kilometers from the holiday home. For your daily shopping you can go Rufina, 7 kilometers away. The beautiful town of Florence is 30 kilometers away, you just have to go and visit. Tuscany is not only a summer destination. In spring it is gorgeous here, with everything in bloom and all the spring flowers. In the autumn, the leaves have the colour of gold and rust, against the silver background of the olive trees and the dark green of the pine trees. The swimming pool is 300 meters away from Casina Papi. Prachtige plek. Goed bed, de basis zaken zijn aanwezig. Het landgoed was vroeger een boeren bedrijf nu rustieke natuurlijke omgeving. Goede plek om te onthaasten in de heuvels van toscane. Mooi zwembad. Florence met de auto uurtje, met de trein drie kwartier.